The Big Reverb TI with Trails and nearly Infinite decay. 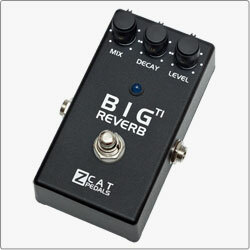 A versatile reverb pedal, good choice for creating lush ambient soundscapes. After the pedal is disengaged reverb trails hang over naturally. Pressing and holding the footswitch activates the infinite decay which you can play over.